When you start blogging it can be so overwhelming! Sometimes it feels like regardless of how much you research, there’s just so much to figure out! It’s like a non-stop battle of trial and error. But, let me tell you why every blogger needs Tailwind. Tailwind is my number one tool in my blogging toolbox! It used to be just a favorite, but recently they made some major updates that made me fall in love with it even more! If you’re new to blogging you may be asking what is it and why does every blogger need Tailwind? Or if you’re an experienced blogger you’ve heard of it but haven’t seen why it’s important to add this to your tools. In this post I’m going to show you exactly why need need to choose it or make the switch. When you’re a blogger, Pinterest is one of your most important outlets for your content. And, when I started, I knew that but wasn’t fully aware of how much time I would need to commit to it. So, you want to know Why Every Blogger Needs Tailwind? When you first start out, it doesn’t seem like a lot of work to pin a few posts to a few boards manually. 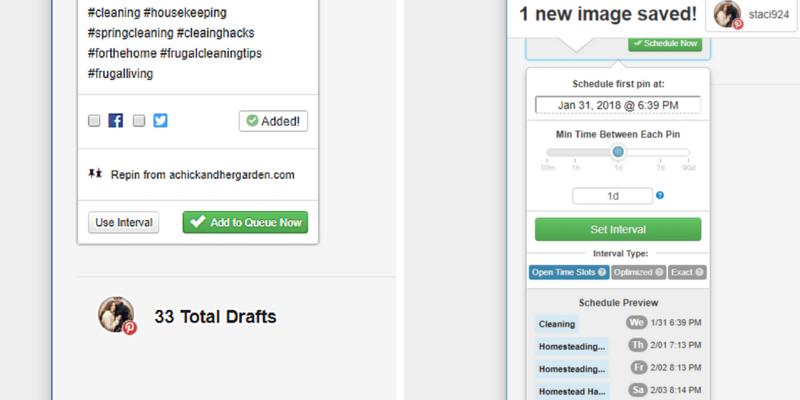 But, as you grow you will add more posts to your rotation and more boards, including group boards. As your blog grows you will absolutely need a Pin scheduler. Tailwinds pin scheduler has quite a few amazing options. 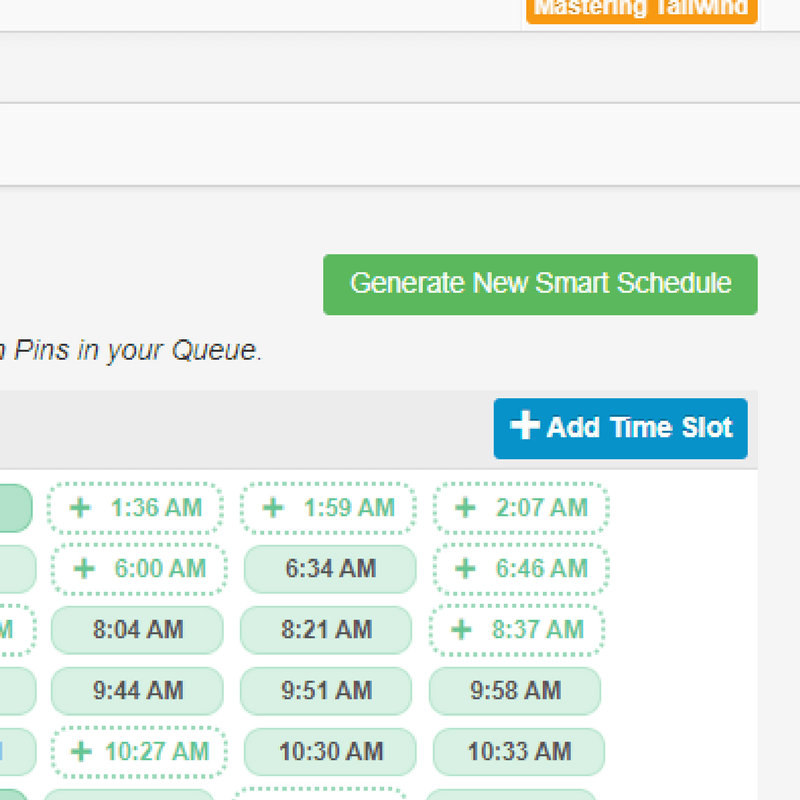 You can generate a “Smart Schedule” that pins at your most popular times of the day. Yep, that’s right! They actually analyze your Pinterest account and recommend for you when to have pins go out, because your followers are most active at those times. Once you have your schedule made, there are two ways that you can add Pins to your schedule. You can either add them straight to the queue, which puts them in one after another. Or, you can set an interval, anywhere from five minutes to 90 days! Yes, there are other schedulers out there that may be cheaper, but Tailwind is the only one that is approved and supported by Pinterest. Therefore Pinterest is giving more clout to those that are Pinned through Tailwind than by other social media schedulers. This means that they are more likely to show your Pins over Pins shared by those using another scheduler. Want to know more reasons why every blogger needs Tailwind? Keep reading! It gets better! 2. Tailwind has easy to read Stats. 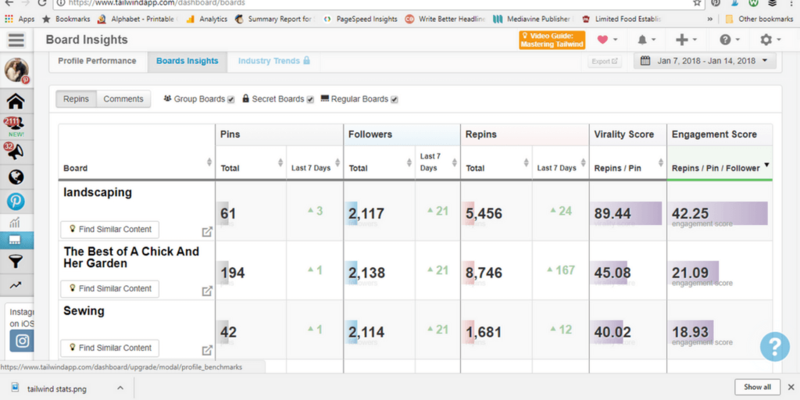 Tailwind offers multiple ways to read that stats of, not only your Pins, but your entire Pinterest account. This includes your engagement rate, your followers, the popularity of your boards and all the way down to each specific pin. One of my favorites is the Pin Inspector. This shows exactly how many repins a pin got, what board it was on and the time and day it was pinned. Wondering what to do with all of these stats? Check out my post on Blogging Over Breakfast! Tribes is almost like a group that you would join on Facebook to support and get support from bloggers in your niche. 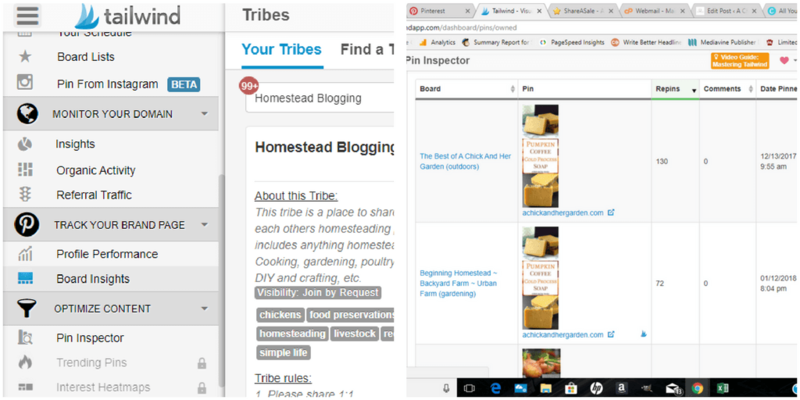 When you join a tribe, you are able to add your Pinterest content and find similar content from other bloggers to Pin to your boards. When I first started using Tailwind, I really liked Tribes, but the only way to be added to a tribe was to be invited by someone. Recently they did a major overhaul of Tribes. Now, you are able to search for niche specific Tribes to join! It opened me up to such a wider audience and I’m seeing my visibility, and traffic continuously grow! Want an insider look on how to use Tribes? Check out my post How to Use Tailwind Tribes! Are you convinced yet? No? The great thing is they let you try it for a whole month FREE! Yep, that’s right! They give you a month free to get the kinks worked out! Now can you see why every blogger needs Tailwind? If you’re ready, head over and try it for yourself through my Tailwind Affiliate Link! Having trouble with growing your Facebook following? No problem! I have a course specifically for that! Check out how I tripled my traffic in 3 days with Using Facebook To Grow Your Blog!